We will look at the virtues and drawback of pairing arts and enterprise. What is an entrepreneurial mindset? Is an entrepreneurial approach detrimental to the arts community? Can enterprise support the freedom to create or does it slowly corrode our character and slim content? We will discuss how arts organizations may embrace innovative forms such as hybrid entities or open business models. 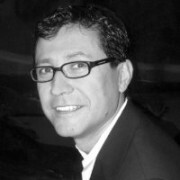 Salvador Acevedo is first and foremost a dot connector. For over 20 years, as an executive, consultant and researcher, he has helped link the social capital of organizations with business opportunities for growth. Salvador is deeply interested in the commonalities that connect people and communities—whether they be collective experiences, shared perspectives or points of arrival—and applies those insights to develop strategies that are beyond multicultural and instead truly intercultural. 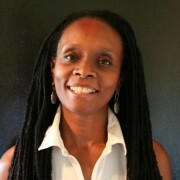 Konda Mason is an HUB Oakland Co-Director/CEO and an Entrepreneur, Partner, Earthseed Consulting, LLC, and Film Producer. Konda honed her business leadership skills as a Grammy winning artist manager in London, an Academy Award nominated film producer in Hollywood, and an Off Broadway hit theater producer in New York…just to name a few. Turning her attention to sustainable personal and global living solutions, Konda partnered with actor Woody Harrelson and founded Yoganics, an organic food business in Los Angeles, where she successfully brought to market the first organic produce section in a major grocery store in the LA area. Additionally, Konda leads ecotourism trips to the Amazon rainforest and is a facilitator trainer for The Pachamama Alliance. She is a partner in Earthseed Consulting, LLC, where she is producing/directing the web series “Green Street Loft”, a program aimed at deepening the connection of the African American community with land, place and the sustainability movement. She was a co-host for the Shift Network’s 2012 Season of Sustainability and is a Certified Permaculture Designer. In what ways does the economy of arts affect the community? What is the effect of capitalism on the arts, how do artists morph their skills to survive? What does the changing face of economies mean for patrons of the arts? Group Assignment: Prepare to share the outline and structure of your focus project with the larger group. Each group will be given 15 minutes for presentation and 20 minutes for question and answer/refinement. Is it a relationship building enterprise? Is it something that can be scaled larger? Does it work best as a small venture? View Arts and Enterprise on Hackpad.